Killer heat lurking, UN agency says – Royal Times of Nigeria. 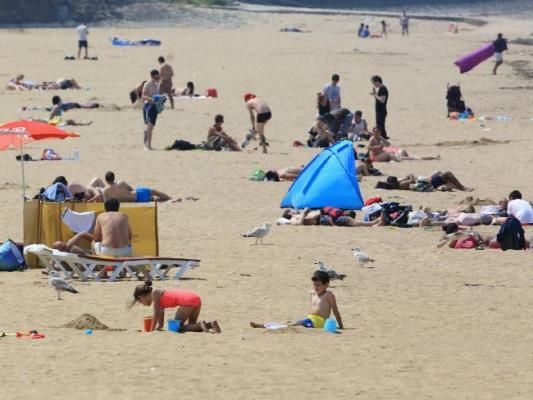 Heat waves force UK citizens to beaches. As UK citizens experience unexpected high wave of temperature which rose 40C, the world has been warned to expect killer heat this year. Other parts of Europe, the Middle East, North Africa and the U.S. have already seen record temperatures for May and June. The Pakistani city, Turbat, recorded 54 degrees in late May, the hottest temperature ever seen in Asia, according to the World Meteorological Agency (WMO). The United Nations weather agency said in Geneva that the world should be prepare for further heat waves this year. The world record of 56.7 degrees was set in Death Valley in the U.S. in 1913. “The concern now is that we are close to that record,” WMO meteorologist Omar Baddour told a press conference. “According to the data we have, we expect to have other heat waves in many parts of the world,” he said. According to the WMO, many heat-related deaths could be prevented if authorities issue public warnings; make sure that vulnerable populations are sheltered; and prepare hospitals for an increase in patients. In 2003, a heat wave in Europe caused 70,000 deaths, while a short spell of extreme heat in India and Pakistan in 2015 killed 4,000 people. India has started issuing health advisories and has drawn up effective action plans in recent years, WMO spokeswoman Clare Nullis said. According to official U.S. and European data, between January and May, average global temperatures were the second highest on record, with the record only having been set in 2016, reported the News Agency of Nigeria (NAN). The 2016 heat spike was fuelled by the El Nino, a weather phenomenon caused by unusually warm water in the Pacific Ocean. This year, weather experts do not expect an El Nino.